Quakecon is currently shaking the foundations of Dallas, Texas with it’s hands-on sessions of DOOM, showings of Fallout and anything else owned by the collective holdings of Zenimax Media. DOOM is certainly what everyone is talking about though, with short hands-on impressions of the game’s multiplayer painting a deliciously fast, gory picture. One that you’ll be able to add to very soon. 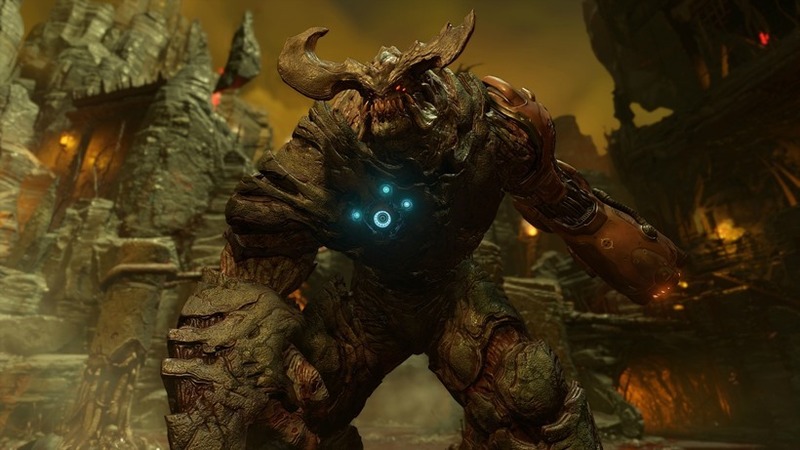 iD Software has revealed that the DOOM technical multiplayer Alpha is literally around the corner, taking place shortly after the current conference closes their doors. A select lucky few will be able to try out the fittingly retro shooter fun well ahead of the scheduled beta next year. feedback will also go into making the game a true successor to it’s genre defining roots, mixing a little bit of old with a little bit of new. Want to get in? If you picked up Wolfenstein: The New Order on any platform, you’ll have a DOOM Beta code that you’ll need to claim right here for a chance to get into the early 2016 test. You key will also put you into the limited pool of Alpha hopefuls, although it seems this will be a much smaller test than the beta is expected to be. If you pre-ordered the Wolfenstein, you’ll be secured for the beta immediately and also have a chance at this sneak peek – applying to both digital and physical copies of the game. It’s definitely not the best odds, but its the best shot you can give it at the moment. Even if the Alpha fairy doesn’t come bearing gifts, you’ll be teleporting, mining and rocket launching enemies to bits before you know it, with DOOM launching within the first half of next year.